"Will it pumpkin spice?" is the new "Will it waffle?" And, apparently, the answer is always a resounding yes. 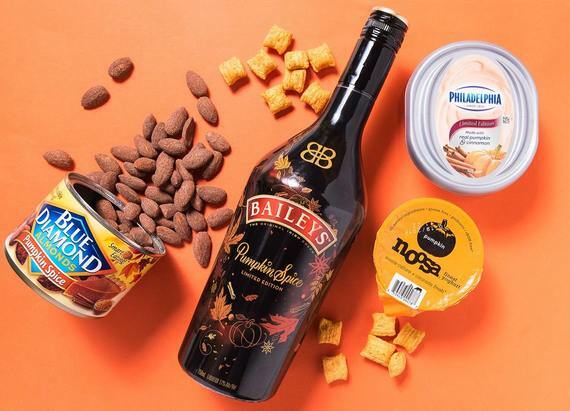 But some products lend themselves better to cinnamon and cloves than others--which is why we have tasted our way through all the pumpkin spice goods out there to find the best ones. Step aside, Skeleton Jack: These are the real kings of the pumpkin patch. Don't have time to bake a fresh loaf of pumpkin quick bread? Pop one of these into your toaster, and your house will smell like you did. It turns out that the only thing the OG nooks and crannies were missing to achieve perfection was a handful of warm spices. If you prefer your morning carbs a bit heartier, they also come in bagel form. There's clear proof that the pumpkin spice latte craze is doing somebody some good: Starbucks' likes on Instagram were boosted 493 percent after the release of the autumnal favorite. But this is the real seasonal way to spice (and spike) a pumpkin latte. The self-proclaimed "unapologetically indulgent" liqueur has essences of cinnamon, maple, brown sugar and "baked piecrust," which is just begging to find its way into some kind of baked good this month. 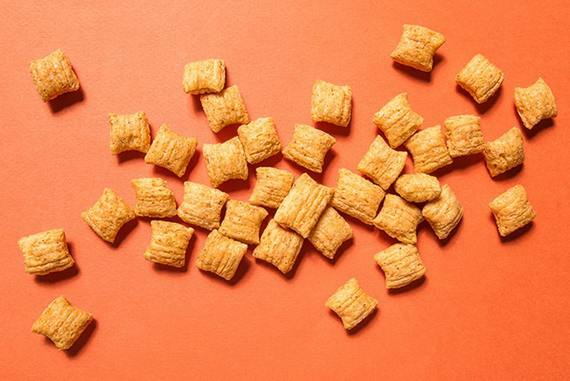 August saw the arrival of Pumpkin Spice Cheerios, and while delicious, they're not the only orange-hued cereal to debut on shelves. This version from the popular health-oriented company is low in sugar, made with real pumpkin (which, sadly, is something to brag about) and makes for a decent snack. You have to be a fan of these all-natural bars' chewy date-based texture, and the flavor is exactly what you want in a protein bar--that is, no weird aftertaste or artificial sweetness. They taste like actual roasted pumpkin, and the 12 grams of protein packed into each one will tide you over until it's time for a midday bowl of pumpkin cereal. 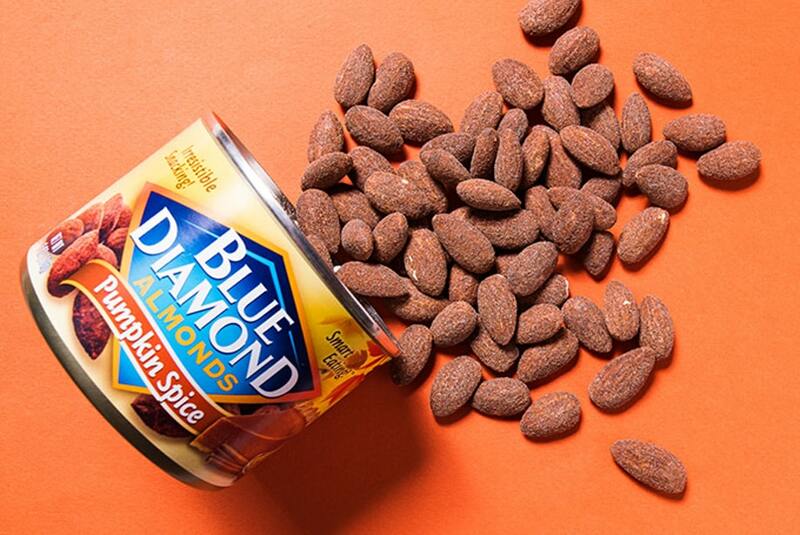 Go nuts without tasting like you face-planted into a pumpkin patch with your mouth open. They're not as addictive as the company's honey-roasted flavor--which is probably a good thing--but these spiced almonds have only three grams of sugar and even a little paprika to balance out the pumpkin spice coating. Pumpkin ice cream can back down, because this renders all other fall-flavored dairy products unnecessary. Noosa's signature impossibly creamy yogurt is blended with a pumpkin-sugar-cream cheese purée but won't freeze your face off. It's the ultimate fall dessert when you need something sweet, but you're not quite ready for hot chocolate. 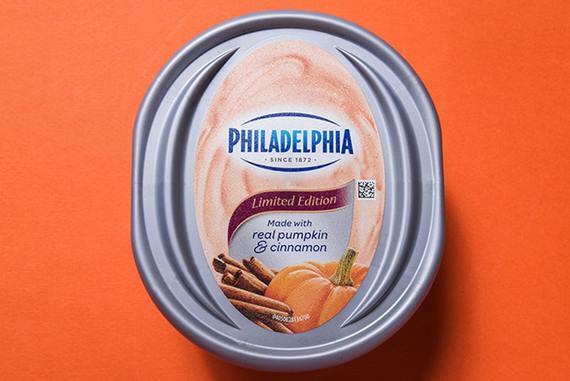 It smells like a candle but tastes like a dream, and if you're not spreading this onto your pumpkin spice English muffin, you're missing out on a thing of beauty. It's a cupcake away from being cream cheese frosting, but we're not complaining.